During its annual meeting in Scottsdale, Arizona, the Cotton Board reviewed and voted to recommend Cotton Incorporated’s proposed 2019 budget of $82 million to the U.S. Secretary of Agriculture. The Cotton Board elected Peter McGrath, an importer, as chairman of the board, and an entire slate of new officers for the 2018-2019 program year. The 2019 plan and budget provides the opportunity for Cotton Incorporated to ramp up cottonseed marketing efforts and address threats to U.S. cotton, such as plastic contamination, FOV4 and weed resistance. The proposed budget also includes funds for planning for future technologies such as robotics and artificial intelligence. Consumer marketing funding is increasing by 13 percent. During its business session, the Cotton Board elected new officers to guide the program, including Peter McGrath to serve as chairman for the 2018-2019 program year. McGrath is an importer from Colorado who owns a consulting business for major brands and retailers. He was executive vice president and director of product development and sourcing for J. C. Penney Company, Inc., one of America’s largest department store, catalog and e-commerce retailers. 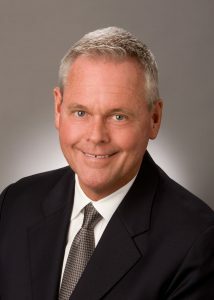 He joined J.C. Penney in 1973 as a trainee in merchandise distribution in New York City and subsequently held merchandise positions of increasing responsibility in New York, California and Texas until his retirement from the company in 2010. McGrath also serves as the chairman of the Human Rights Center at the University of Dayton.